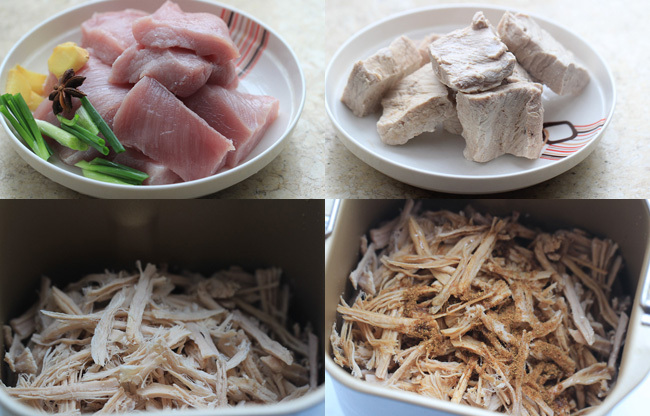 Homemade floss is fluffy, savory popular Chinese snack you may find topped at congee or stuffed in soft buns.I have posted this shredded pork tenderloin around one year ago. 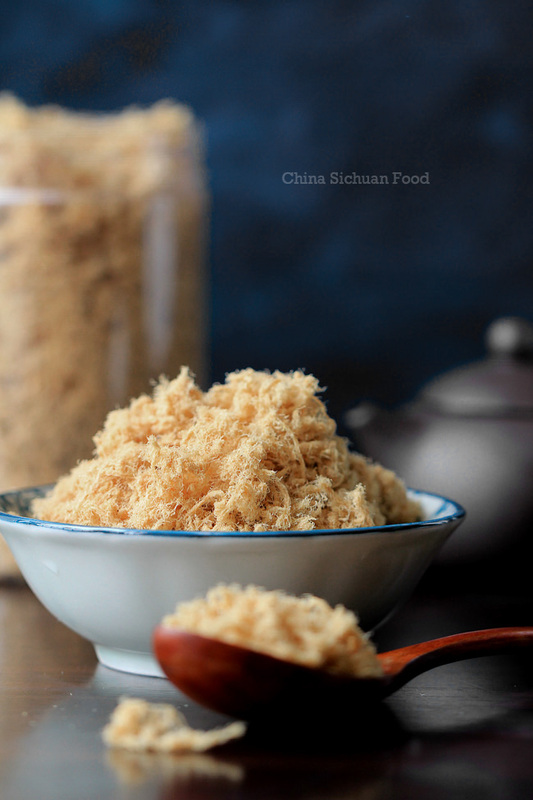 There is the real and inspiring version of shredded pork tenderloin—Meat floss. 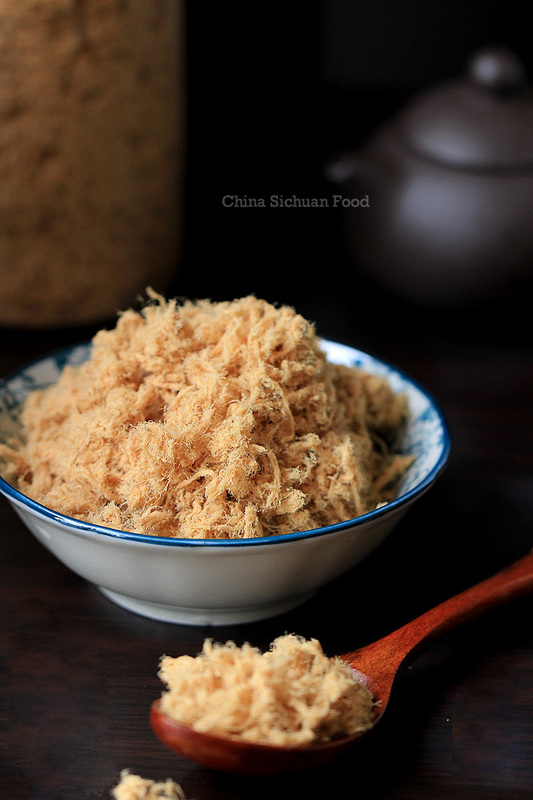 Meat floss has an interesting name in Chinese language: 肉松 literally means fluffy meat. The most impressive image in my mind is the soft floss buns. Just with one bite, you can taste the savory pork floss and the super soft buns. 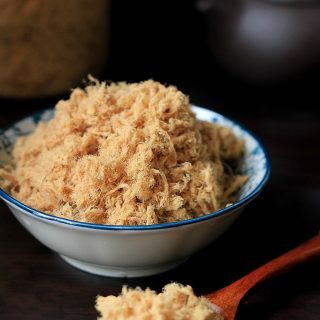 In China, pork floss is the most common one. 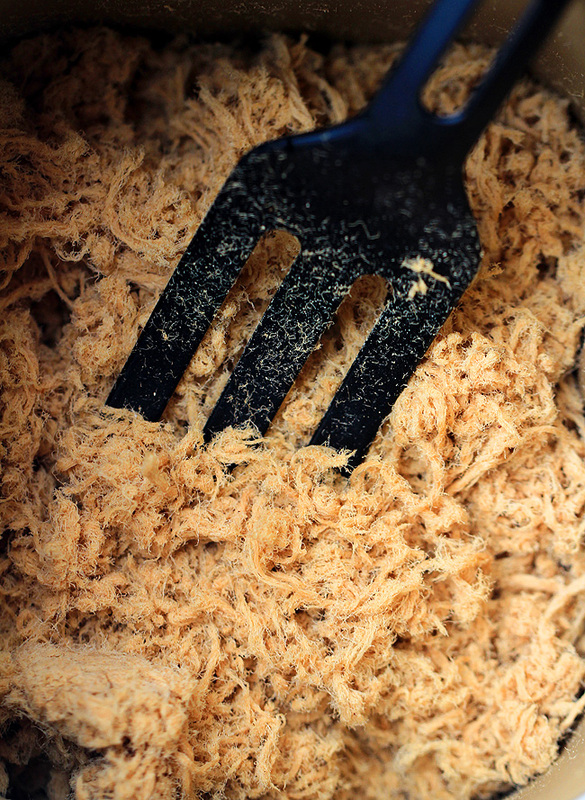 However chicken and fish can also be used to make meat floss. I use pork for today’s recipe. And since no preservative substance used, larger batches are not recommended.I use bread maker to make the process easier. If you do not have it on hand, use a larger pan to fry the shredded meat for around 20 minutes to 40 minutes. It is just a hard task. 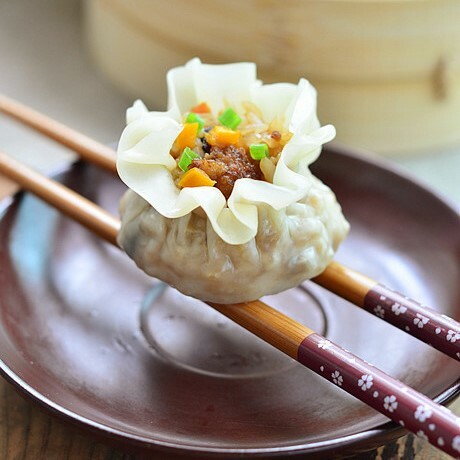 Cut the pork into large chunks, cook in boiling water to remove the impurities. And then add ginger, green onion, star anise and light soy sauce to cook until soft. Cook down and then shred by hand. Add other sauces and use bread maker to start the simmering and frying process. Use bread maker and wait for around 1 hour and 30 minutes, then here we are. Super great Savory Snack--Homemade five spice meat floss. Wash the pork and then cut into larger chunks around 3 to 4 cm. Cook them in boiling water for around 5 minutes to remove the impurities. Transfer out and wash again. 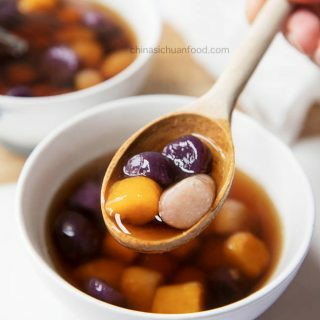 In high pressure cooker or a large pot, add ginger, green onion, star anise, soy sauce and Sichuan peppercorn and pork; pour enough water to cover the pork meat. Add 1 tablespoon of light soy sauce too. 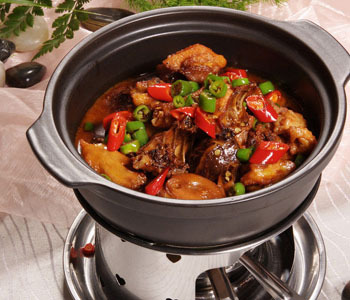 For high pressure cooker, cook for around 20 minutes until the pork is soft. If you use pot to simmer, simmer them for 40 minutes and add slightly more water (3 cm higher) and check the water level from time to time. Add hot water if necessary (make sure the pork is covered with water). Transfer out and cool down; finely shredded by hand. Place everything in bread-maker, add all the other sauces and select Jam mode. Wait for around 1 hour and 30 minutes or so to finish the process. 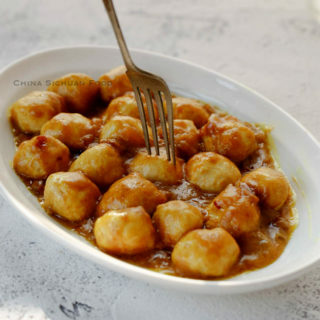 Firstly use a standard-mixer with cake beater hook to break the pork meat and then stir-fry in a deep fry pan with the stir-fry sauce for around 20 minutes to 30 minutes until the meat floss becomes fluffy enough. To store: keep them in airtight container for no more than 1 week. Elaine!! OMG OMG!! Do you know how devastated I was when my floss was taken off me at customs when I came back to Australia??!! I was so upset, I had SO MUCH!! 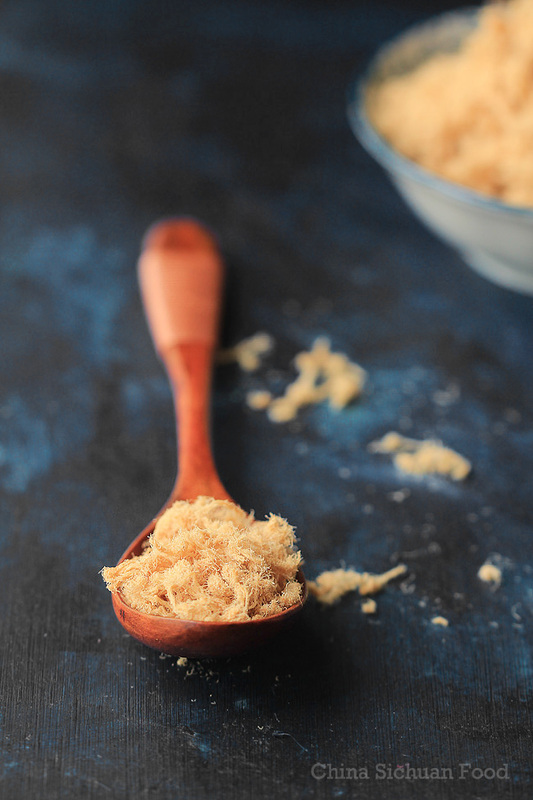 I am truly amazed by reading the recipe that you get that gorgeous fluffy meat floss from those simple steps. I must must MUST try this! Before making this at home myself, I think it is quite complex too until one day one of my colleague bought some homemade meat floss by her mother to us for the afternoon meeting. It really is so yummy! So I decide to try this at home. How amazing. 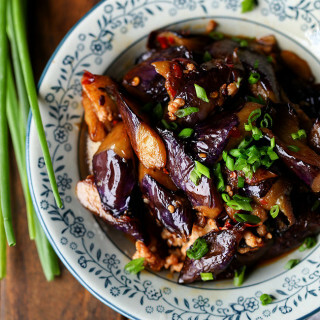 I’ve never come across this dish even if I adore Chinese food and visit Chinese restaurants frequently. 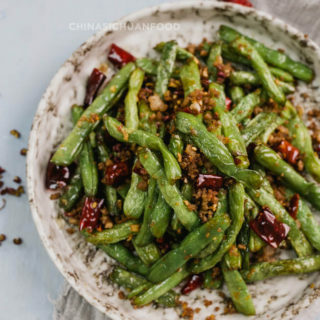 The introduction is very welcome, but I hesitate to try to make it myself until I’ve tasted it from a professional for reference.. I’ll keep watching Chinese restaurants and their menus. 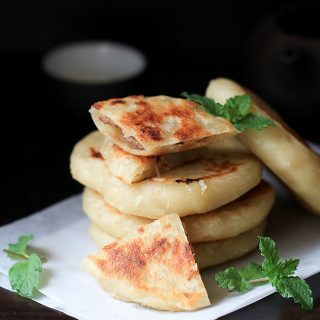 Usually it is used as a decoration of baked buns. 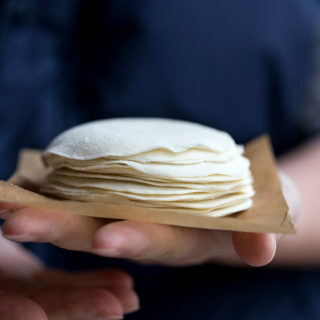 Check Chinese style bakery stores to see whether you can find Meat Floss buns. I’m a bit puzzled – where does the flossy texture come from? I have neither tried the original nor your recipe (yet), but I’m curious and can’t explain the visible flossy texture. The flossy texture coming form the continuing stir frying process. This is a traditional technique used for hundreds of years in China. That’s a good question but I cannot explain the detailed reason too. If cooked til soft the collagen holding the fibers of the meat together break down and when you shred the meat and then dry it the stirring breaks the fibers apart further. 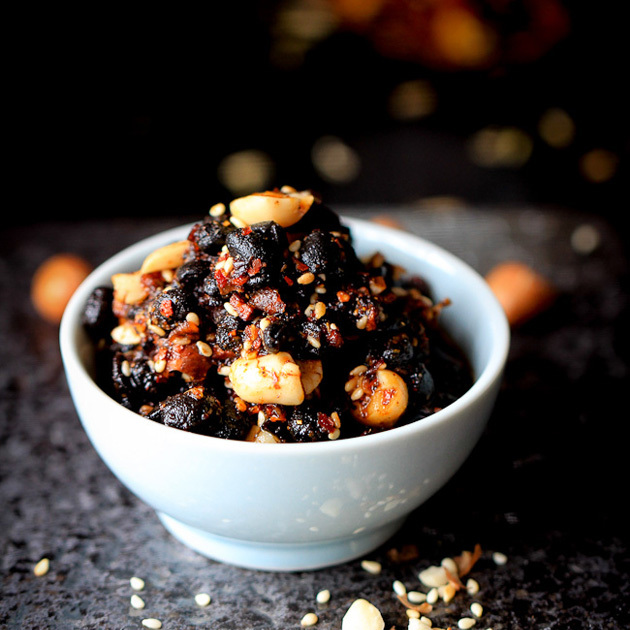 Hai Elaine… i came across your blog and i am so delighted, as i have been searching for quite some times a blog of sechuan recipes in English. I have a bread machine at home, but i don’t have jam mode. What to do? Do you know any processor on your bread machine that can help to stir the meat constantly？ If no, you have to finish the taste by hand by adopting the pan-frying method. I have not tried to use other mode to make meat floss. But I guess it should work by repeating dough mode many times. Remember to lengthen the cooking time and make sure that the meat is well cooked. My breadmaker actually reheat the meat during the process. what type of business? A Chinese food restaurant? so sweet of you to reply my message . I want to start a cafeteria where I want to sell variety of buns in which Meat floss buns is a must . I happened to taste them in Bali .They told me the meat is caremilised chicken shreds . They might be chicken shreds. 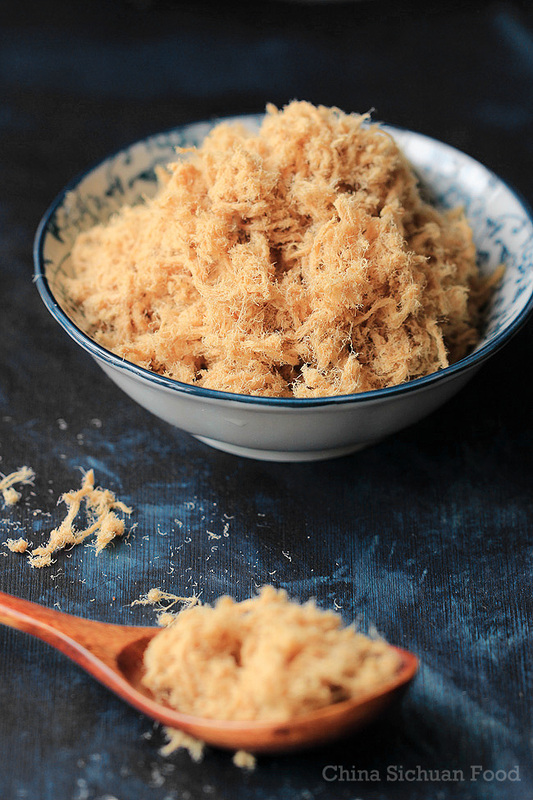 In China, we use pork, chicken and even fish to make meat floss. They really are great partner with baked buns. We also have spicy meat floss buns in street bakery. I love them so much. do you know how to make anchovy floss?.. Sorry, I have not made anchovy floss yet. I have a kitchen aid mixer so do I use the flat beater or the wire beater? WOW very nice and tasty. I have made pork, chicken and beef floss and rolled in sushi rolls very delicious!!! Sometimes I use fish too. They are the greatest toppings. Hello Elaine, thank you very much for your recipe. I have the same question as Madott: I was using the pan fry method (since I don’t have the jam mode on my bread machine) and my chicken turned out crispy instead of flossy. Can you help explaining why? You need to slow down your fire and move quickly. Thanks Elaine for your prompt reply. After the last failure with pan fry method, I had bought the bread machine with the JAM mode just for this specific meat floss recipe. I followed your recipe precisely except I was using chicken breast instead of pork, Hic hic hic, it was another failure, the chicken turned out crispy and dry and NOT FLOSSY at all. To be honest, I’ve tried with the chicken 5 times but never got the flossy/fluffy texture instead kept getting the dry and a bit crispy texture. Can you PLEASE help? Have you tried the chicken breast before? Whenever you have a chance, can you please try and let me know?